Our Moscow Daily recaps the day’s action at the IAAF World Championships, offers up some analysis, and tells you what (and how) to watch the following day. Come back for all nine days of action from Russia. There were seven finals today on the penultimate day of the World Championships. Usain Bolt easily defended his title and cruised to another gold medal in a modest, by his standards, 19.66 seconds. As expected, Bolt met little resistance from the field as he came off the curve in the lead and coasted the final 50 meters. Warren Weir, also of Jamaica, upgraded his Olympic bronze and finished second from lane 8. The surprise of the race came from 24-year-old Curtis Mitchell who rallied in the straightaway to grab the bronze for the United States. Brianna Rollins capped her sensational season with a gold medal and a victory over the most dominant hurdler of the last 3 years, Sally Pearson. Rollins reacted slowly to the gun, but meticulously ran down Pearson and the rest of the field to win in 12.44. Pearson finished in a season’s best 12.50 and exceeded expectations in a season that was hampered by injuries. Tiffany Porter bested the other two Americans in the field for the bronze. Team USA suffered a rare loss in the mile relay, their first since the 2005 World Championships. 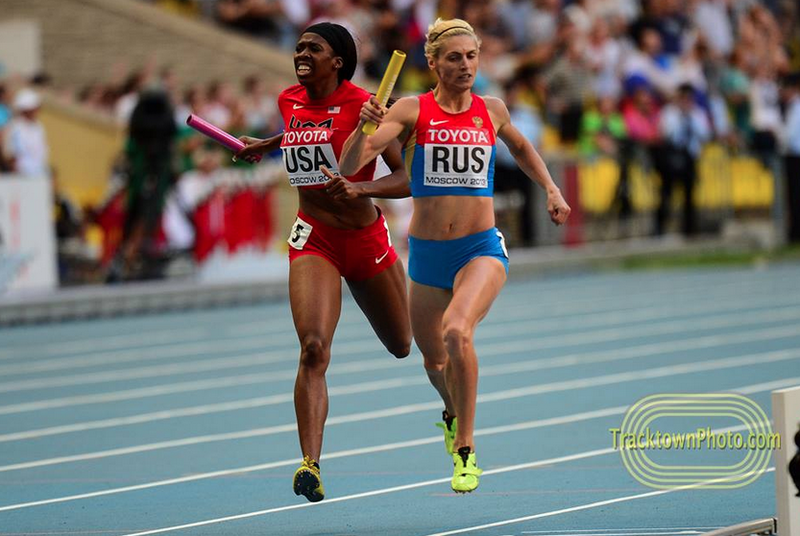 Russia took the lead at the halfway point and their anchor leg Antonina Krivoshapka held off American Francena McCorory on the final straight. Great Britian finished third. Ethiopia and Kenya traded the first five places in a race that stuck exactly to the script. Meseret Defar used her superior finishing speed to win her fourth global title in the 5,000. Mercy Cherono and Almaz Ayana (who did much of the leading in the late race surge) won the other two medals. Behind the East Africans, Molly Huddle and Shannon Rowbury finished sixth and seventh. Olympic champion Stephen Kiprotic won another major championship on Saturday afternoon in Moscow. Ethiopia went 2-3-4 behind him. The 4 x 400 wasn’t the only gold medal for the home team on Saturday. Svetlana Shkolina cleared a personal best 2.03 meters to win the gold; upstaging her countrywoman Anna Chicherova and American Brigetta Barrett in the process. Barrett jumped 2.00 for her second silver in as many years and Chicherova tied with Ruth Beitia of Spain for the bronze. Vitezslav Vesely of the Czech Republic and Tero Pitkamaki has a close battle with Vesely’s first round throw of 87.17 meters holding up as the gold medal throw. The real drama was for third where Julius Yego’s fifth round attempt of 85.40 meters vaulted him into the bronze medal position. The excitement over the prospect of a Kenya javelin medal was short-lived as Russian Dmitri Tarabin jumped Yego on his final throw of the competition. Buoyed by their victories in the women’s 4 x 400 and women’s high jump, Russia jumped ahead of the United States in the gold medal race. In total, the United States won four medals on Saturday including Brianna Rollins’s gold in the women’s 100 hurdles. But Rollins’s medal was the only one for Team USA in an event where they had four entrants and three finalists. Much of that was due to the rapid improvement of Australia’s Sally Pearson. A few weeks ago, Pearson looked like a finalist at best. On Saturday, she was a different hurdler and knocked Americans Dawn Harper-Nelson and Queen Harrison down a spot. The injuries to Sanya Richards-Ross’s toe and Allyson Felix’s hamstring proved to be too much to overcome in the 4 x 400 relay. Russia trotted out a team with two finalists from the open 400 and outlasted the Americans in what developed into a thrilling race. Is the historic dominance in this event in jeopardy for the United States? Simply put, no. If you remember, last year the sky was falling when the American men didn’t qualify anyone to the finals in the 400 and got beat by the Bahamas in the relay. That bad performance turned out to be an anomaly (caused mostly by injuries and a transitionary period). This year, the men rebounded and won the 4 x 400 easily and went 1-2 in the 400. In the 4 x 400, for both the men and women, other countries will continue to take advantage when the Americans aren’t at their best, but the depth in the United States continues to be unmatched. With Usain Bolt and Warren Weir virtual locks for gold and silver in the men’s 200, the United States did well to sneak out a medal. 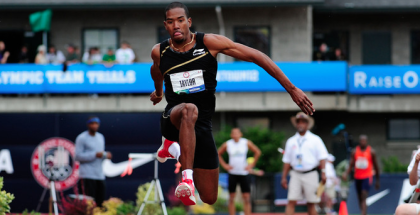 Curtis Mitchell was the only American finalist and ran with poise in his first major championships final. In the high jump, Brigetta Barrett wasn’t at her best, but still managed to finish second. The United States went 6-7-12 in the women’s 5,000 and were one of only two countries to have three finalists (Ethiopia was the other). 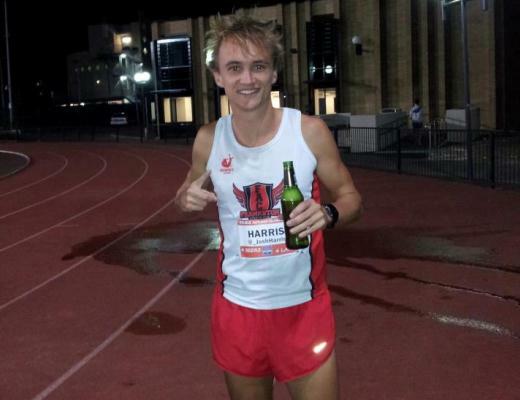 Like many nations, the United States does not have their fast marathoners on the World Championships team. Jeff Eggleston was the top American finisher in 13th place. It was a quiet evening in the midst of a great meet for our neighbors to the north. Veteran Angela Whyte finished sixth in the women’s 100-meter hurdles. In the men’s marathon Rob Watson placed 20th in 2:16:28. Here’s how to watch tomorrow’s action. All times are Eastern. Daily highlight shows will air on Sportsnet. Visit Athletics.ca for broadcast times in your area. UniversalSports.com will webcast whenever the TV channel is running a live broadcast, but you can only watch it if you’re in the minority of Americans whose cable provider carries Universal Sports. A better bet is WatchAthletics.com which will have a collection of foreign feeds for the final session. 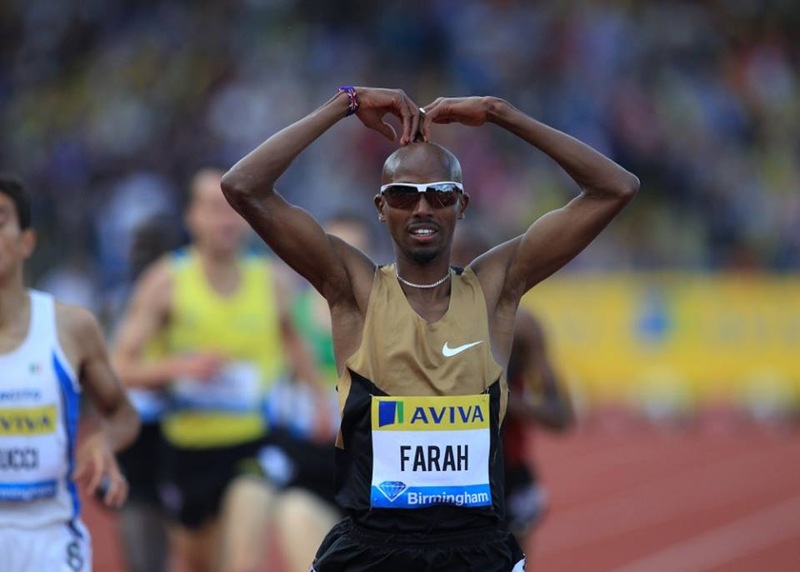 Yet another option is IAAF Radio, which is quite good and will offer live play-by-play from 8:00 to 11:00am. The main hub of information is the IAAF website. Schedules, results, news, athlete info, whatever you need. You might want their smartphone app, too. If you’re cheering for a particular team–and who isn’t?–both USA Track and Field and Athletics Canada have microsites for their Worlds teams. You can follow the exploits of US collegians with the USTFCCA. Looks like a two-person competition with Maria Abakumova of Russia and German Christina Obergfoll the only women with personal bests over 70 meters. With injuries to Jeter and Felix it will be interesting to see who the US uses in the early section. The Americans have two medal hopes in Christian Taylor and Will Claye. Teddy Tamgho of France and Cuban Pedro Pichardo will have a significant say in how the medals are decided. Can the favorites make it through unscathed? 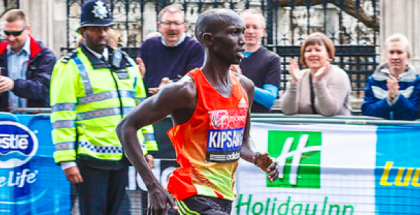 Asbel Kiprop leads four Kenyan men into the final. Matthew Centrowitz is the only entrant for the US after Leo Manzano and Lopez Lomong went out in the semifinals. Russian Maria Savinova is the favorite and always seems to peak at the right time. The US will have strong presence with Alysia Montano, Brenda Martinez and Ajee Wilson. It looks as if the United States won’t have a single member of their world record squad from London racing Sunday. Their team will be young with English Gardner and Octavious Freeman playing prominent roles. The Jamaicans counter with experience. Kerron Stewart and Shelly-Ann Fraser-Pryce are championship veterans and Fraser-Pryce will be looking for her third gold from Moscow. Should be Jamaicans to lose especially after going 1-3-4-5 in the men’s 100 earlier in the meet.